On the blog “Fragile” the author writes about the human side of Agile. 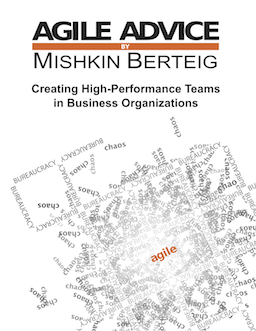 The author, who does not name themself anywhere on the blog, criticizes the agile movement for not giving more time to the issue around management. practical guidance is needed for an agile team leader to describe how they might incorporate these ideas into their role. The author also notes that an anecdote they wrote was included in a recent book. It basically describes a way to make the most of an environment even if management is not providing funding or space to support agile implementation. I am wondering if others have had similar experiences of getting resistance from management but still being able to make their situation work out anyways. Please share your story in the comments section below. Previous PostANNOUNCEMENT: New Upcoming SAFe CoursesNext PostLink: How Will a Product Vision Help You Succeed?